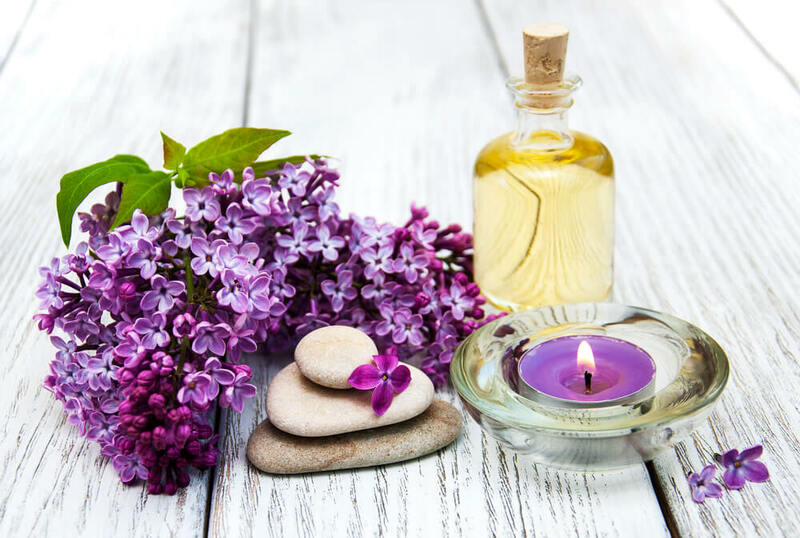 Essential oils are oils that have been extracted from plants, with each oil having its own unique properties, as well as a distinct scent. 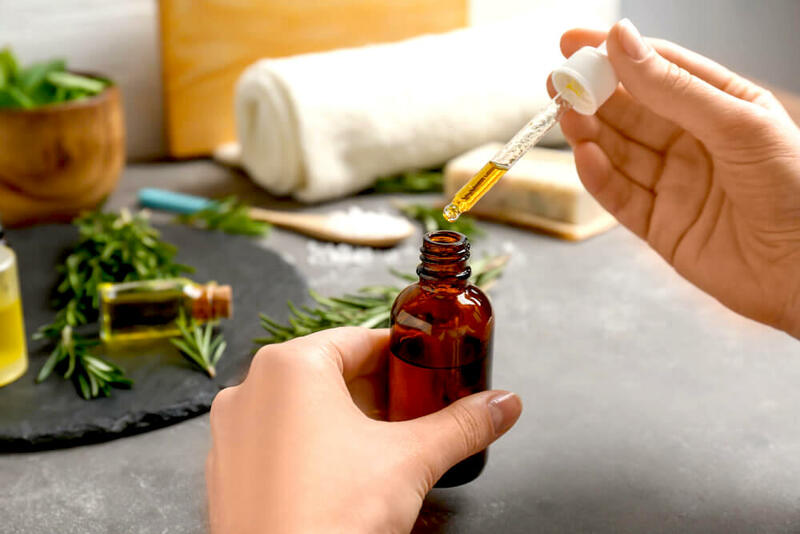 While essential oils are most commonly associated with aromatherapy, many of them are actually extremely beneficial for the skin too, which is why the majority of skin care companies out there include these oils in their product formulas. These ingredients are natural, and are also incredibly potent, which is why it is important to make sure that you are only using essential oils that are suited for your skin. Why would I want to add even more oil to my skin? Well, there are actually many oils out there that can be beneficial to oily skin, doing everything from killing acne-causing bacteria to regulating your skin’s natural sebum production. Tea tree oil is one of the best essential oils out there for oily skin, and there are plenty of scientific studies to back this up. Why is tea tree oil so great? It contains a compound known as terpinen-4-ol. When this is used topically, it produces comparable results to benzoyl peroxide, a common treatment for acne. However, unlike benzoyl peroxide, tea tree oil does not bring about the same side effects, such as the scaling and redness often associated with benzoyl peroxide. What exactly are the results that both tea tree oil and benzoyl peroxide produce? They both clear out the pores, kill acne-causing bacteria and regulate excess sebum production. Oily skin is caused by the skin producing an excess amount of oil, and this is something that jojoba oil can help with. Thanks to the way in which its molecules are so similar to that of your skin’s sebum. When applied to the skin, the skin is tricked into believing that this is actually its own sebum, meaning that it does not need to produce any more oil. Not only that, but jojoba oil is also a great source of vitamins C and E, both of which can be beneficial to oily skin. Wondering where jojoba oil actually comes from? It is derived from the seed of the jojoba plant, which is commonly found in south-western United States. In fact, this is an oil that was frequently used by Native Americans, thanks to its powerful healing potential. In addition to being a popular ingredient in products designed for oily skin, rosemary essential oils are also frequently used in hair care, to prevent hair loss and boost hair growth. Also known as Immortelle, helichrysum oil comes from a perennial herb that grows in the Mediterranean, as well as in Asia. This herb has been used since the time of the Ancient Greeks for its extraordinary skin care properties. What does helichrysum oil do? While some of the other oils listed above are quite commonly used in skin care product formulas, helichrysum oil is slightly rarer, meaning that you may have to hunt around a bit to find it in a product. Lemongrass is a natural astringent. It means that it is able to balance out your skin’s sebum production, while also reducing the inflammation that would otherwise lead to acne. Not only that, but lemongrass essential oil also contains antiviral, antifungal and antibacterial properties, all of which help to keep the skin clean and pores clear, clearing away excess debris and toxins. Dry skin is skin that is lacking in oil, so it only makes sense that essential oils are fantastic for this skin type, providing the skin with some much-needed nourishment. You are likely well familiar with roses, and in addition to looking pretty and smelling sweet, roses also bring with them some fantastic skin benefits. Rose oil is actually one of the most expensive essential oils out there. Because it is so highly concentrated, meaning that only a small amount needs to be used for its effects to be noticed. Wondering what these effects actually are? Well, rose oil is packed with a wide range of vitamins, minerals and antioxidants, all of which help to boost the health of your skin. It also contains emollient properties, and this makes it especially beneficial for dry skin, as these properties moisturize and protect the skin. While rose oil comes from rose petals, rosehip oil comes from the small fruits that are produced after each rose has died. Wondering what the difference is between the two? Rosehips are packed with vitamin C, which is an essential vitamin for nourishing dry skin. It is also the only essential oil that naturally contains vitamin A. Since vitamin A is one of the most potent anti-aging ingredients out there, and dry skin is more susceptible to the signs of aging than other skin types, this natural source of vitamin A can really help to protect your skin from fine lines and wrinkles. Lavender has been used for centuries to soothe the skin, and is believed to be one of the safest essential oils out there. This is such a versatile oil that will really help to nourish dry skin. As you can tell from its name, carrot seed oil comes from carrot seeds. While carrots themselves are packed with antioxidants, the seeds contain these at an even higher amount, meaning that the oil is extremely beneficial at protecting dry skin from environmental damage. Carrot seed oil also contains high amounts of vitamin C and vitamin E, both of which work well together to regenerate and revitalize the skin. Finally, this oil is incredibly moisturizing, but does this without clogging up the pores. Jasmine essential oil is extracted from the flowers of the jasmine plant, and has such a beautiful scent, as well as powerful skin-boosting properties. Thanks to this distinct scent, jasmine oil is something that you will likely find in a wide variety of skin care products designed for dry and damaged skin. You have to be so careful when dealing with sensitive skin, as this skin type can quickly react to so many different ingredients. The key here is to look for ingredients, or in this case essential oils, that are gentle and mild, meaning that they won’t trigger a negative reaction. Which are the best oils for this? Also known as orange blossom, neroli oil has such a sweet and floral scent to it, and this is easily recognizable. This oil is known for its gentle properties, which is why it can be used by all skin types. What does neroli oil actually do? One of its main benefits is the way in which it encourages skin cell regeneration, which is something that can really help to protect sensitive skin from irritations and reactions. The way in which it promotes the growth of new skin cells also makes it effective when treating scars, age spots and stretch marks. In addition to this, neroli oil also contains antiseptic and antibacterial properties, minimizing the risk of infections and breakouts. Frankincense oil is extremely calming, thanks to its strong anti-inflammatory properties, and this is what makes the oil suitable for use on sensitive skin. What does frankincense oil do? As you can see, this is quite a multi-functional oil, making it suitable for the wide range of issues that those with sensitive skin often face. Sandalwood oil is so calming, not only due to the compounds within it but also thanks to its scent. This is an oil that is extremely effective at protecting the skin, blocking away everything from irritants and impurities to pollution. 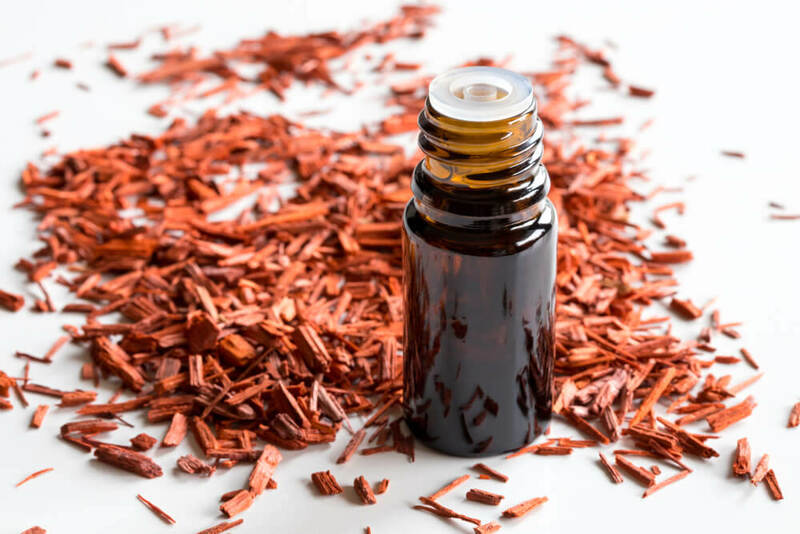 On top of that, sandalwood oil is also an anti-inflammatory oil, which can be so useful to those who suffer from inflammatory skin conditions. Just about every type of chamomile has long since been used for its healing properties, but German Chamomile is the best one to go for if you have sensitive skin. Because German Chamomile contains a high concentration of azulene, which is what gives these flowers their blue color. It has the ability to penetrate deep into the skin, bringing about changes from within. It is incredibly calming and soothing, but also so gentle. When compared with Roman Chamomile, German Chamomile is actually thicker in texture, meaning that it can form a protective seal over the surface of your skin, preventing other contaminants from the environment from disrupting your skin. If you have combination skin, then you likely already know that the best strategy for you is to mix and match different skin care products to work with different areas of your face. For example, if you have an oily t-zone but dry cheeks, the oils that are suited for oily skin will work well on your nose and forehead, while those suited for dry skin will benefit your cheeks. It can be tricky to get this right, but you are much better off taking the time to do this rather than using an unsuitable oil on certain parts of your face. Is your skin type normal? If so, you are extremely lucky, as this means that just about any of the oils listed above will work well with your skin. 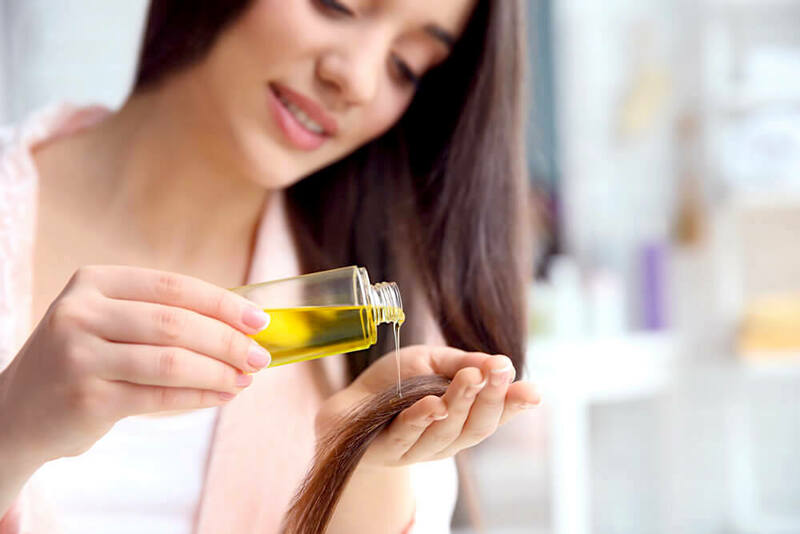 Of course, since you aren’t dealing with excess oil, you may want to stay away from some of the more potent oils for oily skin, such as tea tree oil. Instead, aim to use more of the oils listed above for dry and sensitive skin, as these will give your skin some extra nourishment without the risk of drying it out. There is nothing quite like the power that botanical ingredients can have, and essential oils are usually the most effective of them all. Packed with a high concentration of potent compounds, essential oils can really benefit your skin, so long as you are using the right ones. How Does Medication Affect Skin Health?